Download the TCM18 Logopack, megapack of more than 25.500 logos of clubs and competitions for Football Manager 2018! This is the 5th edition of the TCM Megapack for Football Manager. After more than 1,200,000 downloads for previous versions, we want to offer more! Adopt the brilliant TCM18 Logo megapack for Football Manager 2018 by TCMLogos.com. + Confederations, Federations, International Competitions & Flags. All the details by Nations in the Megapack. Bonus : Adboards banners from our partners showing during games are included in this pack. Kinmar : Enhancing the Template, Development, Hosting (TCM14-18). Thomasom : Creating the Template, Development (TCM14/15). TCM18 : bdavies26, Broeren, claytonpadula, Cleuber, commander, Diogo Paiva, Julian, Kamil, Lucas, Marcos, Necjeff (DF11 Faces), nxtfuture, Pappeldrache, Pierre-Jean, RBRND, Rivanov, Segmann, Spix22, Tapioca, Theodor (@TONlJIMENEZ), Vince-Taiwan. Old TCM : AndreaLAZIOultras, ArturM, Borell, cdmafra, Frimimout, JesperBN, Kostas_Panachaiki, MatheusMux, Paul_13, Rein, Renato, Rivanov, Sh@rk, Spartacus23, Stathis, Steinbolt, Theodor. This creation (TCM18) is a property of the site TCMLogos.com and is in free use for personal use only. The only authorized download links are the official links available on the site to monitor the downloads statistics. If you wish to integrate our creation into a presentation, your own graphics, for any public use, thanks for asking us the permission. 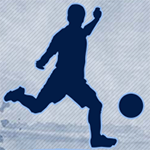 TCMLogos.com is a non profit website and only wishes to help the Football Manager gamers community. However, some recognition isn’t much asking for a time wasting work. Therefore, thanks for respecting these few rules. Download the 18.1 Update for TCM18 Logopack, with more 4.500 logos of clubs, competitions and federations for almost 30000 logos in total ! After more 65000 downloads for TCM18 and more than 1,275,000 downloads with previous versions, we want to offer more with this update. Italy, Belgium, Denmark, Hungary, Ireland, Norway, Poland ... 83 Nations with add or update logos. Download the 18.2 Update for logopack, with more than 700 logos of clubs, competitions and federations for more than 30.000 logos in total! After more than 120.000 downloads for les and more than 1.350.000 downloads with previous versions, we want to offer more with this last update. Mexico, Canada, France, Georgia, Hungary, Portugal and New Zealand... 42 nations with additions and updates of logos. This game looks pretty much offline. Stranica je generirana za 0.073 sekundi uz 44 upita.